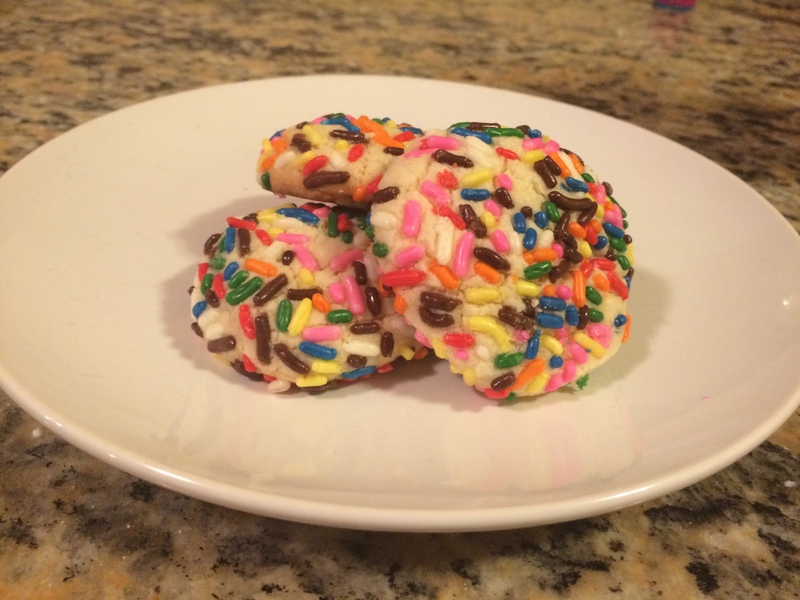 There’s something about sprinkle cookies that transports us back to our childhood – the happy colors of the sprinkles, the simple sugar cookies that dissolve in your mouth. 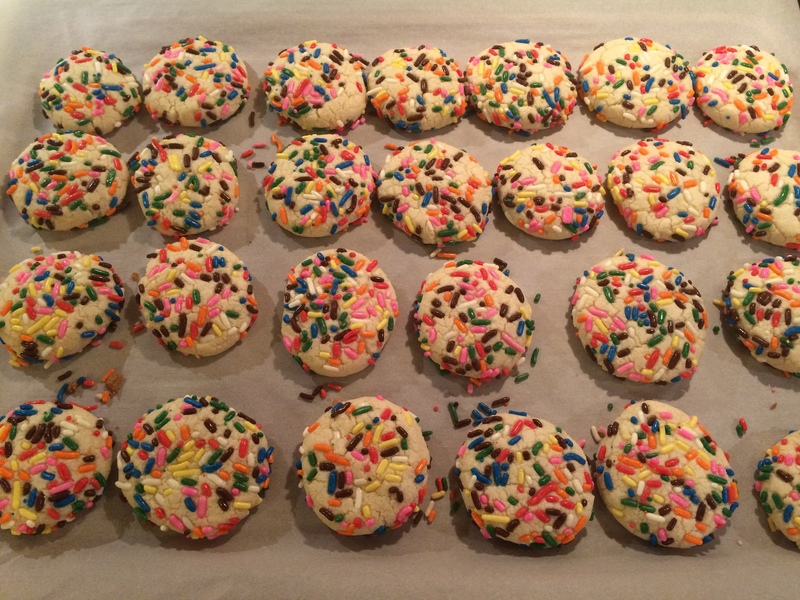 My daughter always picks a sprinkle cookie when we shop at Publix so I thought I would try to make them at home with her. I found the perfect recipe by Kate from Cooking During Stolen Moments. The recipe is simple, quick and fool-proof. My daughter, AS, and I make it all the time. She loves rolling the balls of dough in the sprinkles! And she loves having the cookies as a treat in her lunchbox with the homemade marshmallows. Check out the recipe and let me know how your cookies turn out!